THE DUP remained silent yesterday over claims Stormont speaker Robin Newton misled the assembly about his role in a UDA-linked community organisation. All the main parties apart from the DUP have called for the East Belfast MLA to resign as speaker for not fully disclosing his relationship with Charter NI. Mr Newtown – who remains the current speaker, attracting an £87,500 salary despite Stormont not operating – has rejected claims he misled the chamber. However, the embattled politician confirmed he will not stand for the position again in any newly formed assembly. Last year, Mr Newtown told the assembly he provided advice to the Charter NI as part of constituency duties, but insisted he had never held an official position as an adviser. But a BBC Spotlight programme broadcast on Tuesday night claimed Charter NI board minutes indicate he was actually a key adviser. 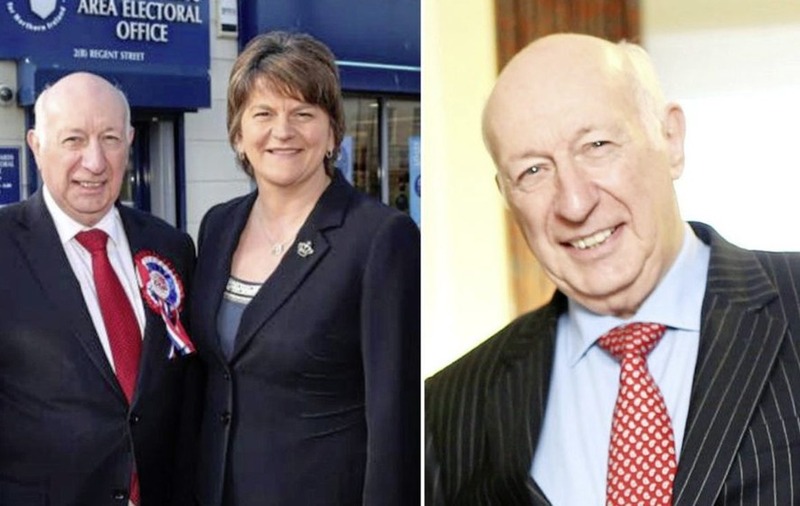 The DUP released what it described as a "personal statement" on behalf of Mr Newton yesterday, but the party and its leader Arlene Foster remained silent. In the statement, Mr Newton said: "I reject the allegations in the Spotlight programme. 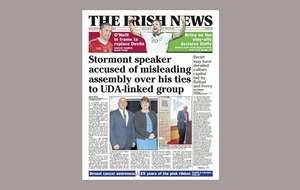 "I did not mislead the NI assembly. I have never been appointed to any position with Charter NI. I am not responsible for how others refer to me in their correspondence. "I will not be a candidate for speaker in any new assembly. At the next NI assembly sitting, I will chair the election of a new speaker as the first matter of business." Mr Newton has been embroiled in a long-standing furore over his alleged relationship with Charter NI. The speaker represents the constituency where Charter NI is overseeing the delivery of an employment scheme as part of the Stormont executive's contentious Social Investment Fund (SIF). He sat on a steering group that awarded the £1.7 million contract to Charter NI. In October, he rejected a request for the assembly to hear an urgent oral question on the organisation and the conduct of its chief executive and alleged UDA commander Dee Stitt. Mr Newton later apologised unreservedly to fellow MLAs for not delegating the decision on the assembly question lodged by SDLP MLA Nichola Mallon. The SIF fund was established by the Stormont Executive to allocate £80 million to disadvantaged areas in Northern Ireland. 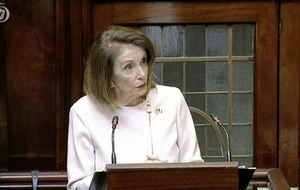 Sinn Féin chief whip Carál Ní Chuilín said Mr Newton's position as speaker was "completely untenable". SDLP leader Colum Eastwood said Mr Newton "should immediately resign" as both speaker and an MLA. He said DUP leader Arlene Foster needs to respond to the Spotlight claims, but added the programme also raises "huge questions for Sinn Féin" as the first and deputy first minister's office oversees SIF. Ulster Unionist MLA and former deputy speaker Roy Beggs said Mr Newton "should simply go now". Alliance's David Ford said his party has "serious concerns" about SIF and questioned why the DUP and Sinn Féin blocked its assembly bid for a review of SIF last December. "There also needs to be a revised paramilitary strategy which is backed by all parties and which has clearly defined goals and targets. 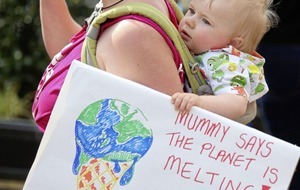 Only by doing so can we finally remove the poison of paramilitarism from society," he said.